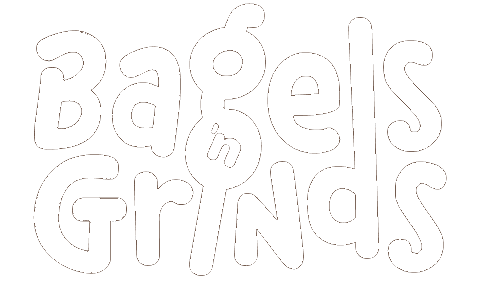 Since 2012, Bagels ‘n Grinds has made it our number one goal to bring you the freshest New York Style bagels using our 10-step proprietary process. We have a dedicated in-store water treatment facility which enhances all our recipes insuring our bagels have that perfect crunchy outside and soft chewy inside NY bagels are known for. All of our menu items were designed by our full time Executive Chef with your taste buds in mind. Choose between our fresh made-to-order signature sandwiches, salads and soups. Satisfy that sweet tooth with a variety of fresh, made in-house muffins, cookies, brownies or yogurts. We also feature the largest coffee bar in town. Choose between our fresh brewed hot coffee, fresh brewed iced coffee selection and our fresh brewed iced tea. Unique flavors, exceptional service and reasonable prices are the things that we are proud of. "One of the best bagel and coffee places I've been to!! This was my first real food after a 6 month deployment. Highly recommended!!" "I'm in love with this place. Fantastic coffee and both breakfast and lunch wraps. Nice atmosphere. It's my new go-to place."